During a transition to WebRTC it will be necessary to address privacy and security challenges and these in turn will raise questions of responsibility and regulation. Discussing possible security mechanisms and services that can fulfill the requirements for real-time communications on the web and providing some suggestions for further study or implementation trials, based in part on the IIT RTC Lab Voice and Video over Web (VVoW) project. 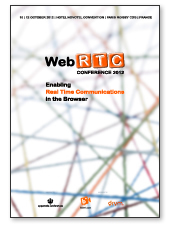 Presenting how the WebRTC support the transmission of real-time data. Describing the transmission protocols, explaining how the NAT traversal works, giving an introduction to the support of security such as SRTP, describing the negotiation process and showing performance results. Surveying the issues around the support of WebRTC linkages to 4G/LTE communications services and assuming the audience is familiar with WebRTC APIs and design principles and is looking to learn more about the 4G/LTE architecture as a platform for communication services. 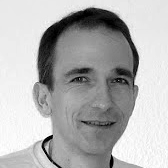 Introduction of WebRTC capabilities to smartphones opens up great opportunities for new applications and services, but to get there, a number of technical challenges need to be overcome (hardware, connectivity, web application capabilities, WebRTC protocol stack implementation, codecs, power consumption, interface switching, usability). This panel discusses the scalability, regulatory and security challenges to be faced if all communications processing is done in the endpoint and if the processing performed in the network is reduced to transport and directory services to locate the far end peer. How will WebRTC and SIP-based solutions work together? 15.00 IETF Opus - Official Characterization Results. Does Opus Outperform other Recently Developed Codecs? Preliminary acoustic listening-only tests show that the Opus codec performs well when compared to other codecs. Presenting the latest results of the performance of Opus. The test results for Opus are compared to the results of other codecs. There is an ongoing debate as to which codecs should WebRTC mandate: VP8 or H.264, G.7xx series or Opus. Where does this debate come from? What lies behind the different sides in this debate, and why we all should strive for a simple solution? WebRTC's standard congestion control is currently being defined. 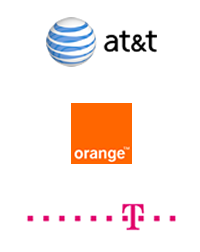 One requirement is that it should be possible for users to prioritize different parts of WebRTC transport. This calls for tightly coupling the congestion control of WebRTC streams. Overviewing the design, highlighting the benefits and the many positive side-effects of such tight coupling. Solutions for remote workforce are vendor specific, cover single modality and don't interoperate in multi-media environment. DEmonstrating how to bring WebRTC video into corporate environment and integrate with existing corporate assets for video communications. © 1994-2012 Upperside Conferences. Credit Photos: Ilana Bak | Upperside Conferences. Fotolia. All rights reserved.